Written by khalil shreateh on 06 January 2014 . Professional way :: How to add "REPLY " button for comments in your facebook account This tutorial will help you to understand and learn developing beside adding "reply" button . Written by khalil shreateh on 10 November 2016 . Written by khalil shreateh on 24 January 2014 . Written by khalil shreateh on 08 February 2014 . How to crash your friend timeline . Written by khalil shreateh on 26 March 2018 . Weeks ago there was was a bug in one of Facebook forms which leads to recover any disabled account in few seconds. Written by khalil shreateh on 14 July 2014 . In this tutorial you will see how to hack wordpress , and how to bypass hash password decode . Written by khalil shreateh on 16 February 2015 . Written by khalil shreateh on 31 January 2016 . Year 2015 ended with a lot of facebook vulnerabilities . Written by khalil shreateh on 18 January 2014 . All hell broke loose, and Facebook cut off Shreateh’s Facebook page and also refused to give him the reward Facebook advertises for techies who discover glitches. The hacker community stepped up and rallied to reward him via a fundraising campaign on GoFundMe that has already raised over $11,000. And now the hacker– who has used the portraits of Edward Snowden and the lateAaron Swartz, above, in his profiles– has become a global folk hero, and Zuckerberghas egg on his Facebook. The story has been propelled by Shreateh’s devilish chops, sense of humor, and English. “Hello guys, this will be English and Arabic,” the bilingual youth wrote, in a viral video on the “exploite” that he put together to prove that he’d discovered the glitch. AP says Shreateh has been inundated by job offers from all over the world, and his reactivated Facebook page, which now features his own portrait, lists his business representatives. In the U.S., we’ve been trained to views Palestinians crudely; I imagine if you ask Americans what’s the first thing you think of when you think of Palestine, they would say Islamists, Hamas or war. But Shreateh is a reminder that this is a sophisticated society, one of the most highly educated in the world. Of course elements of Palestinian society are still tied to traditional ways of living–and there’s of course nothing wrong with that–but Palestinians are a part of our world, our hyperconnected Internet-infused world. Right, that’s what’s thrilling about Shreateh. He destroys stereotype, and does it with brilliance, mischief, and some good oldfashioned resistance. Although Shreateh’s Facebook account was soon reactivated, he was told he wouldn’t qualify for Facebook’s bug-bounty program, which rewards researchers who find security flaws with payments ranging from $500 to $5,000. To Shreateh, who says on his blog that he’s unemployed, this was unfair. Days ago i discovered a serious facebook vulnerability that allows a facebook user to post to all facebook users timeline even they are not in his friend list . His account of the “exploite” is charming. At one point he used a Zuckerberg friend’s facebook page to try and get his message across. Sarah Goodin is the girl that was in the same college with Mark Zuckerberg . Apparently, Palestinians don’t have Harvard worship. Well after a couple of these notes, Khalil proved his point by going to Zuckerberg’s page. Facebook didn’t accept his story, and Shreateh called B.S. on it. Here is that video account of his “exploite”, showing a computer screen. It’s gone viral, 360,000 views, complete with the adorable exploding-hearts-graphic as Shreateh’s marker. Ḱhalil you should realize that making so many grammar and spelling mistakes causes you to be taken less seriously by the rest of the world. you made a serious discover that could affect millions of people and you didn’t abuse it. You did the opposite thing – you reported it to the qualified persons. The level of understanding is relative. If something is unclear, questions should be raised. You were obviously ready to co-operate. No matter what, you deserve a certain kind of reward for sure. Facebook statement is just a shameful excuse for not giving it to you. You deserve a credit, not a disrespectful treatment we see here. AP managed to get a photo of Shreateh (above) in Yatta and describes the job offers. The stunt cost the 30-year-old Palestinian the bounty, but earned him praise — and numerous job offers — for being able to get to the boss of the world’s most ubiquitous social network. The bug — and Facebook’s response to it — has become a talking point in information security circles, with many speculating that the Palestinian could have helped himself to thousands of dollars had he chosen to sell the information on the black market. Shreateh said he was initially disappointed by the Facebook response but that after being inundated by job offers from all over the world he is pleased with how things worked out. Written by khalil shreateh on 21 December 2013 . It was August 14, and Shreateh had just reached halfway around the world to pull off a prank that would make him the most famous hacker in the Israeli-occupied West Bank. He’ddiscovered a Facebook bug that would allow him to post to another user’s wall even if he wasn’t on the user’s friends list. Demonstrating the bug on Zuckerberg was a last resort: He first reported the vulnerability to Facebook’s bug bounty program, which usually pays $500 for discoveries like his. But Facebook dismissed his report out of hand, and to this day refuses to pay the bounty for the security hole, which it has now fixed. Where Facebook failed, though, techies from across the world stepped in to fix, crowdfunding a $13,000 reward for Shreateh. Now that money, and Shreateh’s notoriety, is about to launch the former construction worker into a new life. He’s using the funds to buy a new laptop and launch a cybersecurity service where websites will be able to request “ethical hacking” to identify their vulnerabilities. And he’s started a six-month contract with a nearby university to find bugs as part of their information security unit. He hacks and reports flaws on other universities’ sites in his free time. Shreateh’s life so far hasn’t been easy. Born in Jerusalem and raised here in Yatta, an agricultural town known for its grapes and olives, he has never stepped foot outside the West Bank. Shreateh’s mother died of a heart attack when he was 13. His father, who worked as a manual laborer for an Israeli agricultural company, died of a similar heart problem three years later, leaving Shreateh orphaned along with Nibal and two other siblings. Shreateh eventually got his own computer (“It was Intel, I think, a big one”), and then Yatta’s local Internet café hired him as a troubleshooter. He was able to give up construction for a while, taking odd website design and e-commerce jobs with companies in Ramallah. But by 2011 he was unemployed again. Most Yatta residents work lower-level jobs in Israel. Finding a job with the big companies usually requires wasta, personal connections that Shreateh doesn’t have. In August, with funds running low, Shreateh decided to go back into manual labor. “I was hopeless,” he says. He called a construction company, which said they would call him back in four days. 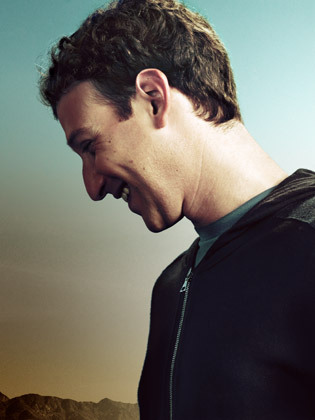 “While I was waiting, I hacked Mark,” Shreateh says with a smile. 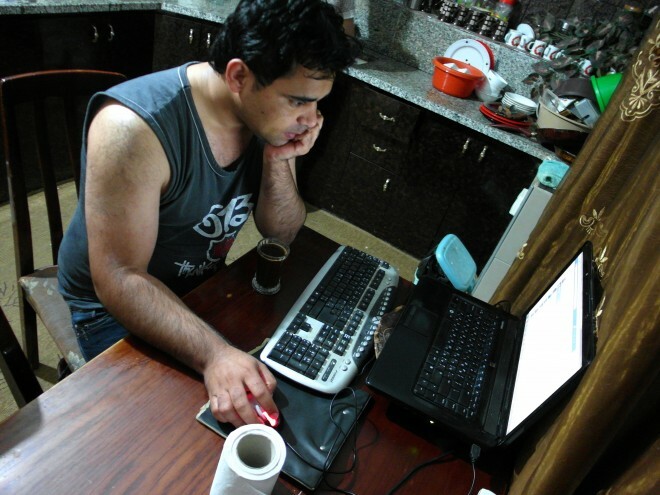 Shreateh discovered the bug during one of his favorite hobbies, checking potential vulnerabilities based on hacker gossip (his other favorite pastime is the game Counterstrike). He first emailed Facebook’s white hat team, expecting to qualify for the company’s two-year-old bug bounty program, which has paid $1 million to some 300 white-hat hackers in 51 countries. To demonstrate the bug, he posted an Enrique Iglesias video to the profile of Sarah Goodin, one of Zuckerberg’s college friends. Goodin’s privacy settings prevented non-friends from seeing her Timeline, so Facebook’s security team couldn’t see Shreateh’s post. Shreateh exchanged three emails with them, explaining why their access was blocked and attaching screenshots of the exploit. First sorry for breaking your privacy and post to your wall , i has no other choice to make after all the reports I sent to Facebook team . Minutes later, Shreateh’s account had been disabled. Facebook engineers contacted him for details. They fixed the bug and reactivated his account but refused to pay any bounty, saying that Shreateh had violated the conditions of its bug bounty program by testing the vulnerability on a real user’s account. Facebook’s Chief Security Officer Joe Sullivan later released a statement acknowledging they’d been “too hasty and dismissive in this case,” but also blaming an “absence of detail” in Shreateh’s report. Facebook still refused to pay the reward. The story went viral. Outraged at Facebook’s snubbing of a fellow ethical hacker, California security expert Marc Maiffret launched an appeal to the tech community. A former teen hacker who made his name by finding security flaws in Microsoft products, Maiffret is now CTO of BeyondTrust. He contributed the first $3,000 to a GoFundMe campaign to crowdfund a bounty for Shreateh’s Facebook exploit. Within a day, donors had given more than $10,000. The final amount raised was $13,125 from 303 people across the world, mostly donated in sums of $5 or $10, many with notes congratulating Shreateh and deriding Facebook. The West Bank is no easy place to be a hacker, or to do anything in the technology sphere. 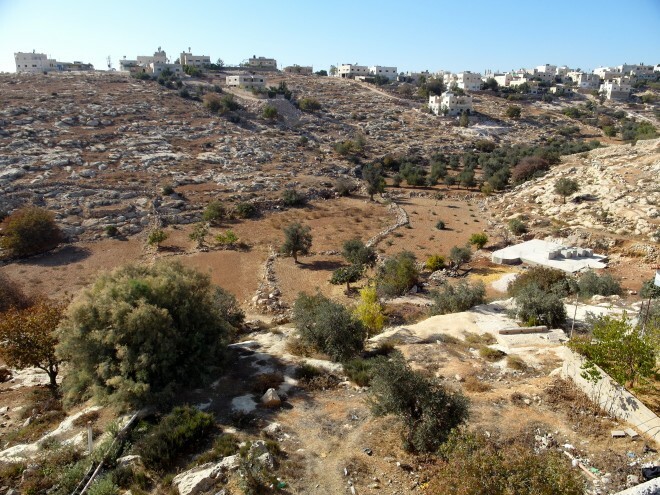 The occupied region depends on Israel for electricity, water and telecommunications, including the sluggish Internet that crawls into the South Hebron Hills. Shreateh has a well and three water tanks on his roof because Yatta only receives several days of running water every few months. Blackouts are common, and the town often goes without electricity for whole days in the winter. This access gap is clear on the drive from Jerusalem to Yatta, which requires passing through a military checkpoint that bars Shreateh from entering Israel. The road to Yatta passes several Israeli settlements, sprawling over hilltops with their separate telecom systems, brightly lit streets and green, well-watered lawns. “The dogs in Israel drink more water than Palestinians,” the taxi driver laughs. Their nieces are rambunctious, dancing to an Arabic music channel blaring from the television and yelling about the Eid al-Adha crowds in Hebron. They parade around the kitchen table, showing off the new clothes they’ve just bought for the Muslim holiday – matching turtlenecks with faux fur vests – while Shreateh’s sisters laugh and croon that yes, the girls look very pretty. Only Shreateh is oblivious to the family buzz. He sits at a small table next to the refrigerator, wholly engrossed in his laptop screen, flicking back and forth between Hacker News, exploit forums and his own security projects. He typically stays up until 2 a.m., clacking away on the keyboard as the rest of Yatta sleeps. He shrugs off KDMS’s invective about good Palestinians versus bad Israelis, but bubbles over when the conversation turns to good hackers versus bad hackers. He’s a citizen of the Internet, disconnected from the Israeli-Palestinian situation, wrapped in the superhero role of upholding a hacker’s ethical code in a virtual, non-occupied world. “There is no security today. No one is secure,” Shreateh says. That’s why people need ethical hackers to protect systems against the nonstop threat of security vulnerabilities and the black-hat hackers who exploit others for fame and money. There’s a moment of truth when you decide to take the white hat path, Shreateh says, a fork in the road when any hacker discovers a bug and decides to publicize it or get it closed instead of exploiting it for personal gain.